Juneathon day 22: Lost. Again. The bright sunshine of midsummer tempted jog club outside of the real of Abingdon for a run, followed by picnic, on the Ridgeway. A portion of the 90-mile stretch of hill, with great rolling fields of farmland, rural tracks and little printed maps seemed like the perfect way to spend a warm evening. In fact, 30 of the Abingdon Amblers had spent Sunday running the full length of the Ridgeway as three teams competing in the annual Ridgeway Relay. Just as with today, obscured signs and dubious map-reading skills meant that the run was extended a little more than intended. 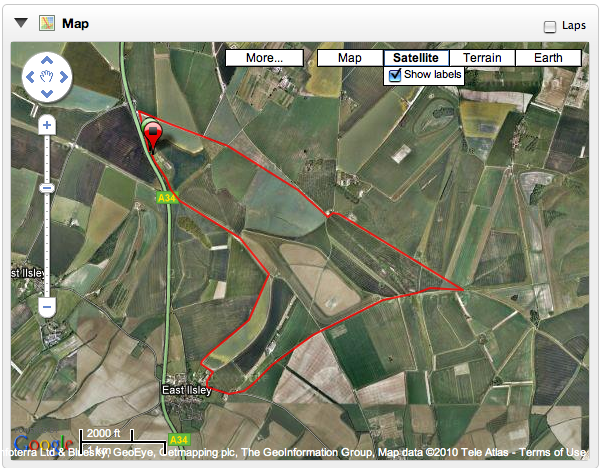 Just over 12km of running, which was meant to be about 10km. Having accidentally cut into East Ilsley, we were directed back to the Ridgeway by some kind locals. On the way back up the hill, I spotted a real scarecrow. Might not sound like much, but it was like one of the ones you see in horror films. Very impressive.